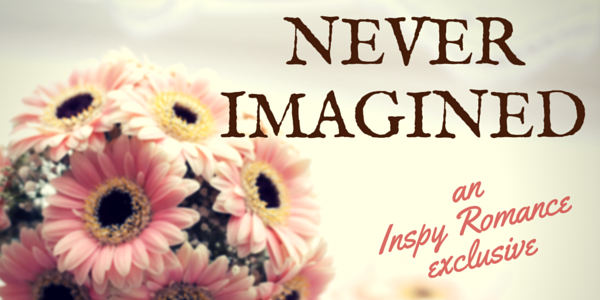 Today I’m bringing you the third installment of “Never Imagined.” Thank you for sticking with me through this journey – I hope it has been as fun for you as it’s been for me! After today there is one more installment. Then the story will be complete (well…). If you need to catch up, you can read part one and part two here. And, if you’re enjoying this story and its hospital setting, I’d like to encourage you to take a look at my novella An Informal Christmas, which can be found in the Love’s Gift boxed set. Pamela made sure to be on hand when Mr. Carmichael, the representative from hospice, arrived to speak with the Alvarezes. Eyes on husband and wife, the nurse listened to everything Mr. Carmichael said. Hospice trained their people to be tactful, take their cues from the patient, and handle any situation that arose. Mr. Alvarez was still her patient, though, and she was responsible for him. She would remain as unobtrusive as possible while making sure the meeting didn’t distress him overly much. Staying out of the way, however, didn’t prevent the Alvarezes’ pain from tearing at her already frayed soul. With a respectful tilt of his head to the man in the hospital bed, Mr. Carmichael slipped silently out the door. He stopped and made a notation in the patient chart and paperclipped his business card. That way, the staff would be able to get ahold of him in case anyone wished to reach out to him again in the future. “Then explain.” Weariness pulled at the corners of his eyes and mouth. It was impossible not to hear the conversation taking place mere feet from where she reviewed the medications. Pamela’s job required her to match the individual drugs that had arrived from the pharmacy against those prescribed by the doctor. Dose, concentration, and delivery method were all vital, and each lent itself to lethal consequences if mistakes occurred. 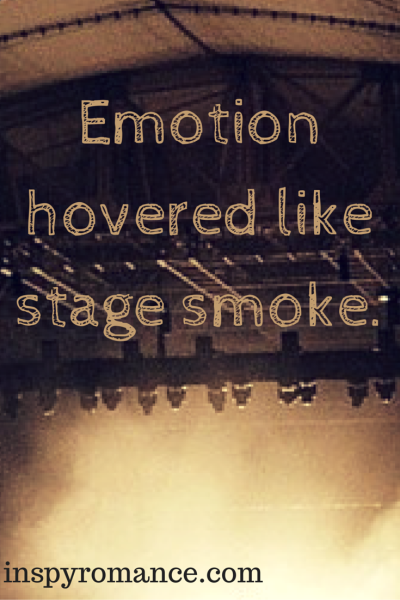 The unfettered emotion hovered in the room like stage smoke at a heavy metal concert. Pain and hope pulsed in harmony. Pamela peered up from the med tray in time to witness the tears spilling over. Mr. Alvarez reached out a hand to his wife, who clasped it and lifted it to her cheek. “I don’t deserve you, and I’d be lost without you, Mi Tesora.” His voice, a low rumble, held a depth of devotion that washed over the room. Unable to delay her intrusion any longer, Pamela moved to the side of the bed opposite Mrs. Alvarez and administered the medications through the existing intravenous line while directing her eyes down in an attempt to afford the couple at least a semblance of privacy. They deserved a chance to cherish each moment they were allowed to share, for none of them knew what the future would hold. Weak though he was, Mr. Alvarez tugged on his wife’s hand until she relented. He brought it close and whispered his vow across her skin. “Together we will fight this thing. I give you my word.” He sealed the promise with a kiss, tenderly brushing his lips across his wife’s palm. Pamela couldn’t help but glance up at the tender gesture. She wasn’t, however, prepared for what she saw. The intimacy of the moment was captured by the naked longing on Mrs. Alvarez’s face. Everything she wanted from her husband was there for anyone to see. Health. Days at the beach. Laughter. Loud arguments. Burnt dinners. Love. Years and years of it all. Pamela turned her head away as gooseflesh raced along her arms. She knew what made Mr. Alvarez so special, what had attracted her to him since the first time she’d met him. He loved his wife completely and unconditionally. He loved her enough to put her welfare and peace of mind above his own desires. 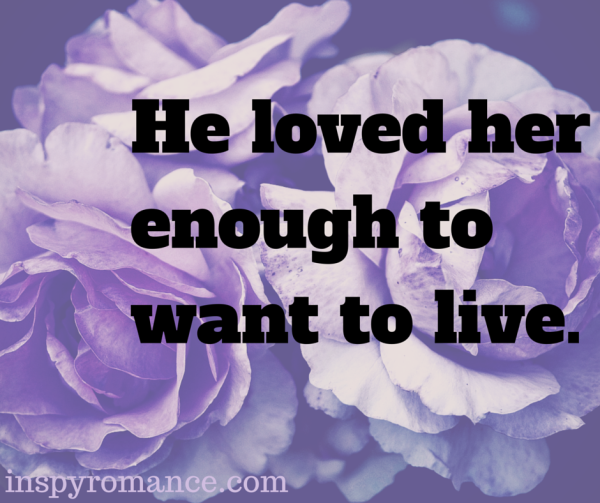 He loved her enough to want to live. 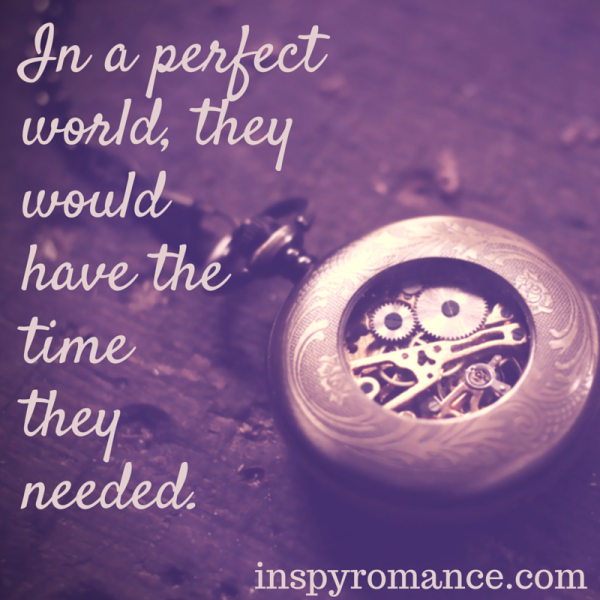 Look for the final installment of “Never Imagined” in December here at inspyromance.com. So emotional. I have Love’s Gift and I look forward to reading the entire story. Very moving installment, Heather. Thank you for sharing with us. You’re welcome Jill – and thank you for spending part of your day with me! Wonderful, Heather! It made me cry. I’m not sure how you made burned dinners seem romantic, but you did! Thank you. What a heart wrenching story. Thank you for sharing it with us. I am looking forward to the last installment. December? We have to wait till December? 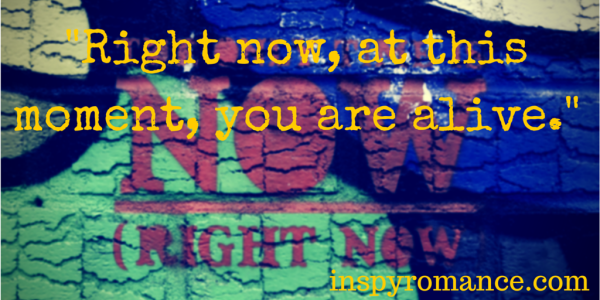 A very moving story – thanks so much for sharing! This brings me back to my years as an ICU and ER nurse.